This is not the first time that Russia has resorted to cyber-attacks against her enemies. April 2007 is still burned into the collective memory of Estonia, when thousands of sites belonging to Estonian organizations came under cyber-attack over a three-week period, which withheld many essential services from the general public. Another conflict that served as a background to numerous cyber-attacks was the Russia–Georgia war in 2008. South Ossetian, Russian, Georgian, and Azerbaijani informational and governmental websites were hacked, resulting in defacements with political messages and denial of service to numerous websites. It was not clear whether the attack was an organized, government supported warfare or a riot of individuals and groups touting pro-Russian views. The current confrontation in the Crimean Peninsula has only been underway for a few days, but it is already widely backed by supporters from both sides in cyberspace. Many websites with Russian and Ukrainian URLs have already been hacked and #OpUkraine and #OpRussia campaigns launched on social networks, mainly VK, Odnoklassniki and Facebook. The Ukranians, imbued with patriotic feelings, are trying to hack Russian sites and leak data. 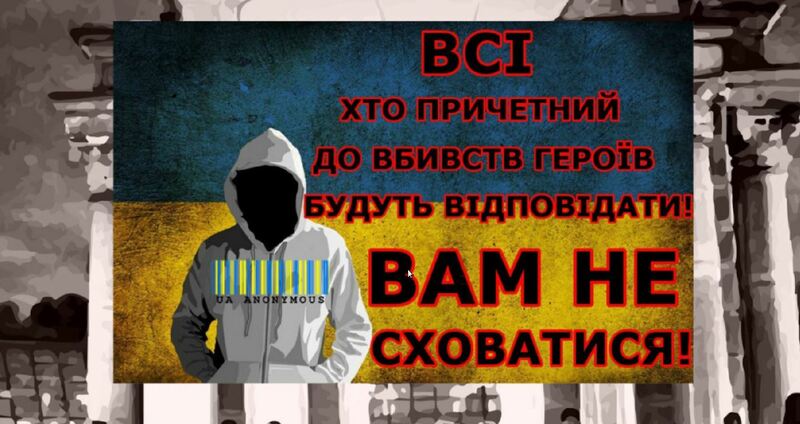 The Ukranian site Bimba, which calls itself the “cyber weapon of the Maidan revolution,” announced its recruitment of cyber volunteers wishing to work for the benefit of the Ukraine. The VK group #опПокращення // #OpUkraine, identified with Anonymous, uploaded a paste to the pastebin.com site, containing an anti-Russian message and a link to a download of an internal SQL data from Crownservice.ru (publishes tenders for governmental jobs), in a file called Putin Smack Down Saturday. Other hacker groups in the Ukraine hacked regime websites, in expression of their support for the revolution. In general, a large number of internal cyberattacks among the different Ukrainian groups have been executed since the clashes began at the end of 2013. One of the more prominent was the hacking of the email of Ukraine opposition leader, Vitali Klitschko. Russia tried to get even, although in a less obvious manner. Starting February 28, reports about cyberattacks in the Crimean Peninsula were published by some sources. Local communication companies experienced problems in their work that may have been caused by cyberattacks, as well as landline and Internet services. Moreover, Russia’s Internet monitoring agency (Roskomnadzor) has blocked Internet pages linked to the Ukraine protest movement. Aside from Russians and Ukrainians, this conflict has attracted hackers from other countries, and we have already seen Turkish, Tunisian, Albanian and Palestinian hacker groups attacking Russian sites in support of the Ukrainian revolution. At the time of writing, news sites have reported two more attacks on Russian sites by Ukrainian activists. This is a surprising, dynamic duel, and cyberspace is likely the stage upon which it will be played out.